CadillacAs big as a house. Let’s face it: big SUVs haven’t escaped the stigma as gas-guzzling destroyers of the environment — and they never will, even as SUV sales in the U.S. have boomed this year. “Responsible” people hate SUVs, and not without justification. But that doesn’t mean SUVs aren’t experiencing a resurgence in popularity, not does it mean that the automakers aren’t happy. They love SUVs because SUVs make them a lot of money. When you get right down to it, Americans actually like SUVs because they provide a good combination of practicality and versatility. If you have your kids, your kids’ friends, a dog or two, maybe a pony and two dozen skateboards, and all the additional gear that defines American life, you’re going to like an SUV. But what about luxury SUVs? Run-of-the-mill SUVs appeal for the obvious reason that they’re essentially overblown station wagons, are reasonably capable in bad weather, and avoid associations with another genre of vehicle that’s stigmatised in a different way: the dreaded minivan. Luxury SUVs are something else: they are statements. 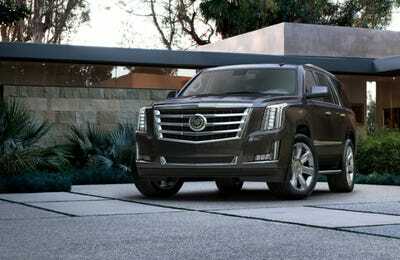 And no luxury SUV makes a bigger statement than the Cadillac Escalade. Everybody builds a large, luxury SUV. There’s the Lincoln Navigator. There’s the Lexus LX 570. There’s the Infiniti QX80. There’s the Acura MDX. There’s the Audi Q7. There’s the Mercedes GL 550. Soon, there will be a BMW X7. But hovering above them all like a massive monolith, a tribute to the very idea of an enormous SUV, is the Escalade. There’s the Cadillac Escalade. And there’s everything else. All those other big SUVs are fine automobiles, but what I’m trying to say here is that the Escalade, by virtue of its very Escalade-ness, has a different effect on one’s psychology. You open the driver’s door, using the thoughtfully illuminated handle, and you ascend to what can only be called a driving platform with the assistance of a retractable step. You settle into a realm of leather and mellow light: the instrument cluster is all digital and the infotainment screen is large. Very quickly, your responsible person arguments fall away. The enviroment overwhelms. Good lord, this thing is vast! It could contain multitudes. 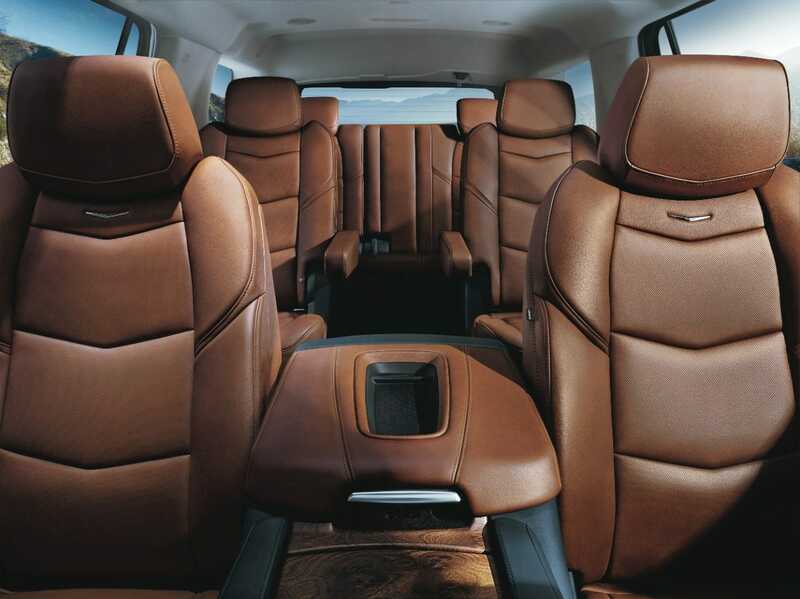 The cargo compartment at the Escalade’s rear seems impossibly far away. Heck, the passenger seat seems kind of distant. You have 420 horsepower to bring to bear on the roadways, conjured by a 6.2-liter V8 engine; when you push the start button, that powerplant makes it presence briefly felt, shaking the frame of the hulking beast. But it’s the briefest of shudders. And it doesn’t roar when you step on it — rather, it whispers, with an almighty purpose. On the outside, the Escalade is all great slabs of sheet metal and elongated head- and taillights, with a front grille that’s as large as an entire Fiat 500 and adorned with that still-gorgeous Cadillac badge, all fake heraldry and pretense earned over the decades. CadillacThe mighty wreath and shield. The tires look as if they belong on something designed for war. The side-view mirrors are as big as guitar amps. The glove compartment could hold an entire beagle. I won’t deny it: there’s something empowering about driving the biggest car on the road. 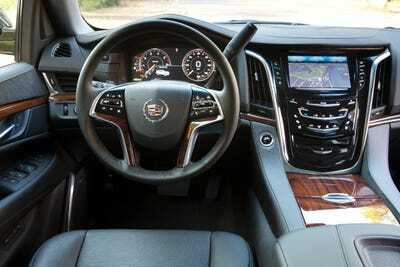 I spent a weekend driving around New York City in a 2015 Escalade — the ESV extended wheelbase version, in fact, so an even bigger Escalade than the normally enormous Escalade — and I felt like a god. All other traffic was amusing and quaint. I remember pulling up next to what I thought was a Subaru. And then it pulled away and I realised it was a Toyota Highlander — an SUV that weighs a mere two tons to the Escalade’s nearly three. If you want to indicate to a cab that you plan to take over a lane, a slight turn of the wheel in that direction, realigning the Escalade’s immense form, is enough. Sorry, little yellow interloper. So sorry. It’s also possible to employ this trick with city buses, semis, and I assume freight trains. There’s only one vehicle in all that land that can challenge the Escalade for asphalt supremacy and it’s called the Hummer, and they don’t make those anymore. The Escalade ESV is based on the Chevy Suburban, which is also impressively large but certainly not as upscale as the Escalade. There’s a wrinkle, however, in the luxury impression that the ESV delivers: It can come off as a a $US100,000 airport shuttle. While you float above the world in a cocoon of undeniable plushness, your seat heated, your steering wheel heated, your SiriusXM radio piping the Greatest Hits of 1986 into your happy space through 16 Bose speakers, you could certainly be conveying a platoon of tourists to JFK. But you can also drive your friends around. Haters gonna hate. You can’t avoid the core problem of the Escalade: its wilfully oppressive ginormousness and the small matter that you’ll only going to get around 15 mpg combined city/highway driving, making the Escalade a substantial effort on the part of General Motors to transform proven oil reserves into greenhouse gases. This is simply a fact of life. In art, there’s something known as “monumentality.” It’s art on a scale that’s intended to provoke. It says that art can be a powerful as the sight of mountains. 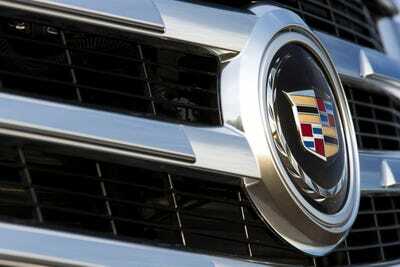 The question then becomes: Should there still be monumental Cadillac Escalades and all they entail? Didn’t the financial crisis and the ensuing bankruptcy of GM turn the gargantuan luxury SUV into a vanished breed? Is the Cadillac Escalade a monument to something even remotely worthy? Well, of course not. But the Escalades continue to move among us. And the thing is that there is a definite Escalade Effect. When you’re on the outside, you seethe with anger. You’re rightly appalled. But when you’re on the inside, you are serene and you feel a special power thrumming within you. Good or bad, this is what happens. It is the transformative effect of the Escalade. No other vehicle can achieve this. No other vehicle even comes close.